It is extremely important for students to have an authentic purpose for their learning. While typically we think of literacy as being reading and writing, speaking and listening are also important components. Coincidentally, I had two groups of students perform Reader’s Theaters in the past week. While performing Reader’s Theaters, students have a purpose of reading: to perform for an audience, act out a part, and be a fluent reader. To end my tutoring program, I promised the students we would do a Reader’s Theater. They worked very hard throughout the program, so it was only fitting to end in a fun way. I gave the students a couple options of scripts, and they chose an African Folktale: The Clever Turtle. They picked parts, practiced their lines, and created costumes and scenery. We discussed why it is important to practice their parts, be focused during the performance, and read fluently. Students worked hard creating their props; I didn’t give them guidance or restrictions, so their performance was truly their creation. We practiced, then the students performed for a small audience. The students worked well together, and they helped each other during the performance to make sure everyone remembered his lines. I also recorded the play to share with others, and we watched it afterwards so they could see their performance. This was a fun and special way to end the tutoring program. Students were able to perform as a character and be an expressive reader, an important component that is sometimes forgotten. 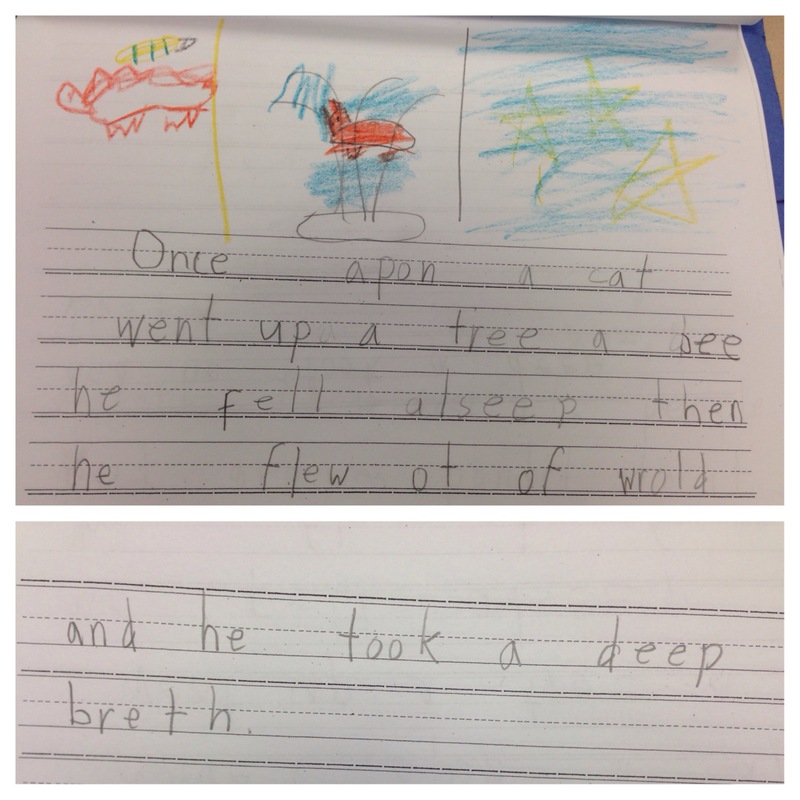 At the same time, the first grade story of the week was a drama. 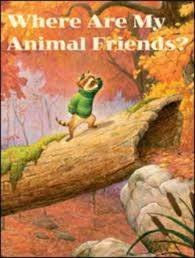 To end the week, we assigned an each student an animal character; they were put into small groups. Again, after practicing their parts, they made costumes. Students were extremely creative making wings, tails, masks, and pictures of their characters. 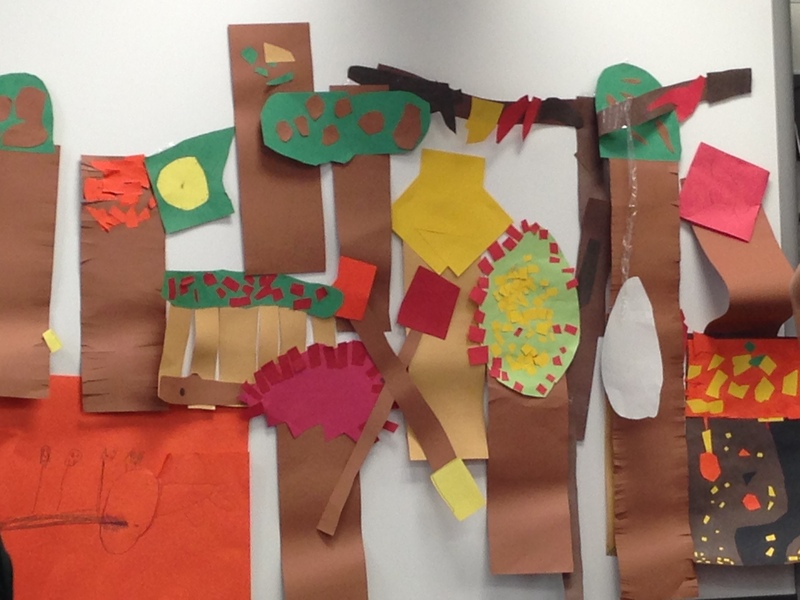 Then, they helped make scenery to create an autumn classroom forest. the room was a complete disaster of paper, costumes, and props, but the students were motivated, engaged, and creative so it was worth it. Finally, the students performed in full costume for an audience. They were so excited and did a great job. Reader’s Theaters really create an authentic reading experience for the students. They had a true purpose and audience for their reading. I don’t think the students will forget this experience any time soon, and one I hope to be able to recreate this year. 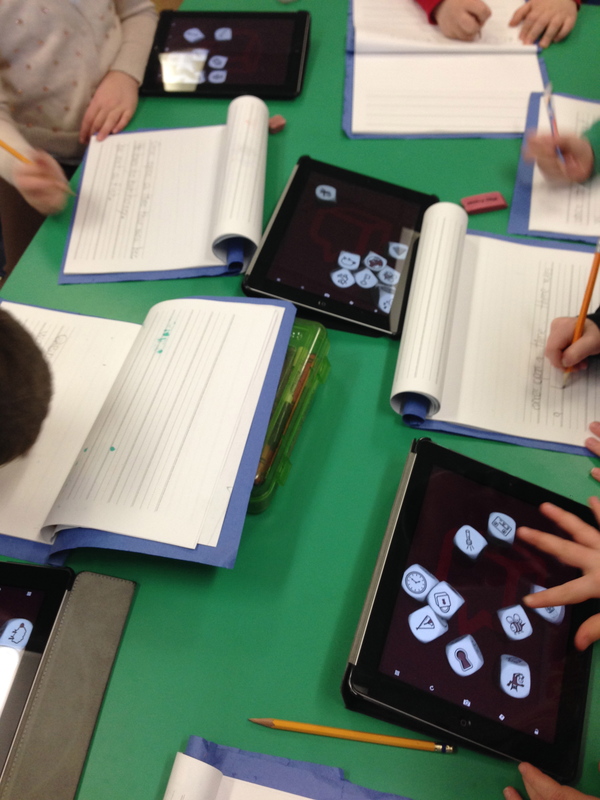 During Work on Writing time a few weeks ago, we introduced the Story Cubes app. The students loved it! It was great seeing them so excited about writing, and they came up with some creative sentences and stories! 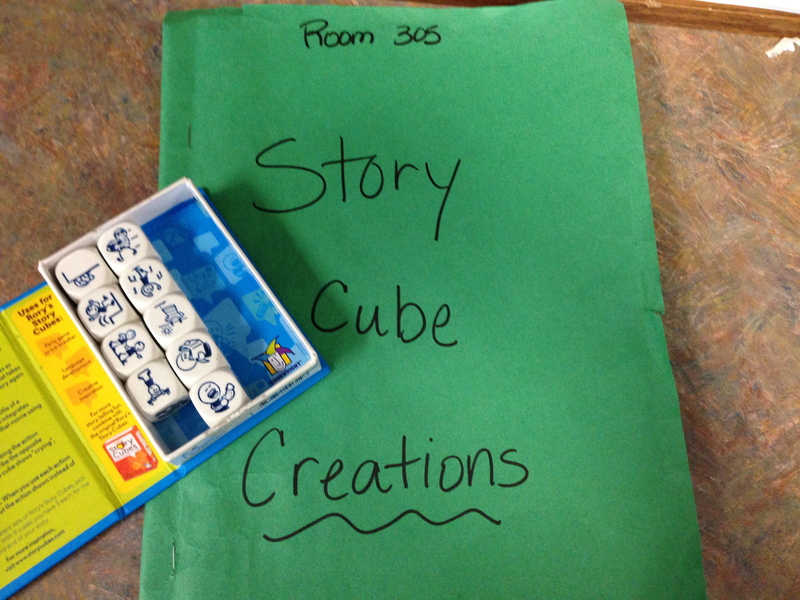 To introduce the activity to each group, I showed them how to use the cubes and we wrote a story together. After shaking the cubes and seeing our picture choices, we went around the table and everyone thought of one sentence. Each person wrote the sentence in his journal, so the group had the same story. After everyone had shared an idea and we made sure the story had a good conclusion, each person illustrated his story. Once center time was complete, students shared their stories with the class. 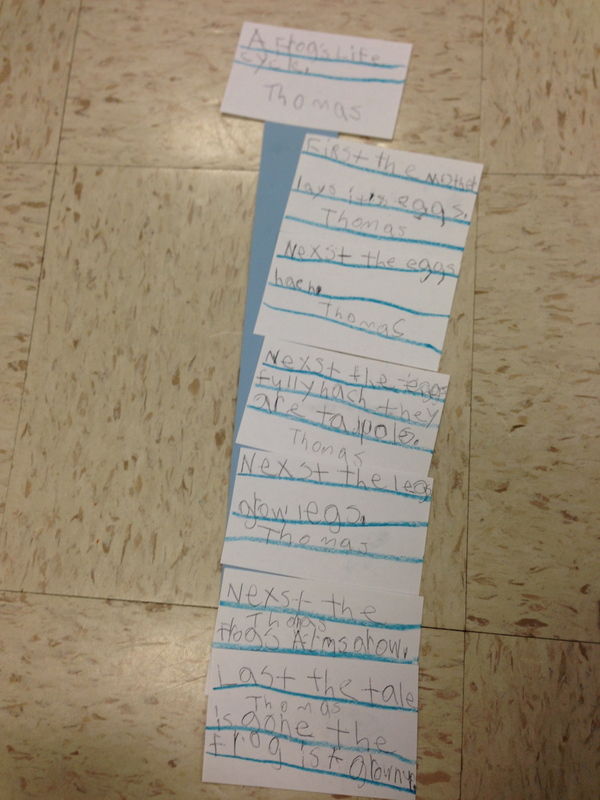 Since students were so excited about writing these stories, we decided to start a traveling journal. There were 2 copies of story cube dice, so we put 1 set and a journal in a bag to go home with 2 children each night. 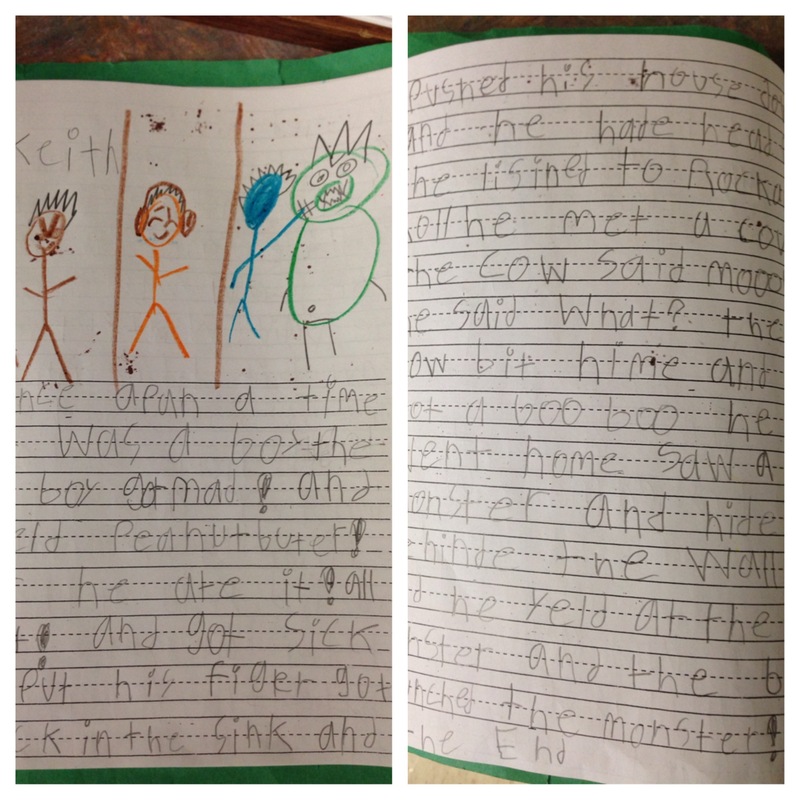 They have to write a story and return the set the following day; the child shares his story with the class and then a new student takes the journal home. I love this idea of students creatively writing a complete story and sharing it with their classmates. They’re going to be writing the rest of their lives, so it’s important they develop a solid foundation. Also, it’s a chance for them to be creative, which I think sometimes get lost with other demands of school and life. I will never tell a child he cannot write a story or that there is a limit how much to write. I cannot wait to continue reading their stories! Reading and comprehension are two of the most important skills taught in school. Students need to read in every subject, and they need to learn different tools to check and demonstrate their understanding. Sometimes, activities need to be consistent to continue practicing the same skill. I’ve learned that sometimes, especially with struggling readers, activities need to be changed often to make reading fun. When these students practice the same thing over and over, they get bored and frustrated; these are the readers we need to motivate the most to keep trying and read! Often during small reading groups, I’ll play games with fluency, do different activities reading words and sentences, or have them create a journal or mini-project. They need to do something engaging to see reading can be fun! Currently, I’m working with a group of second graders on different comprehension strategies as part of an after-school tutoring program. Everyday, we read a story and answer questions focusing on a different strategy. 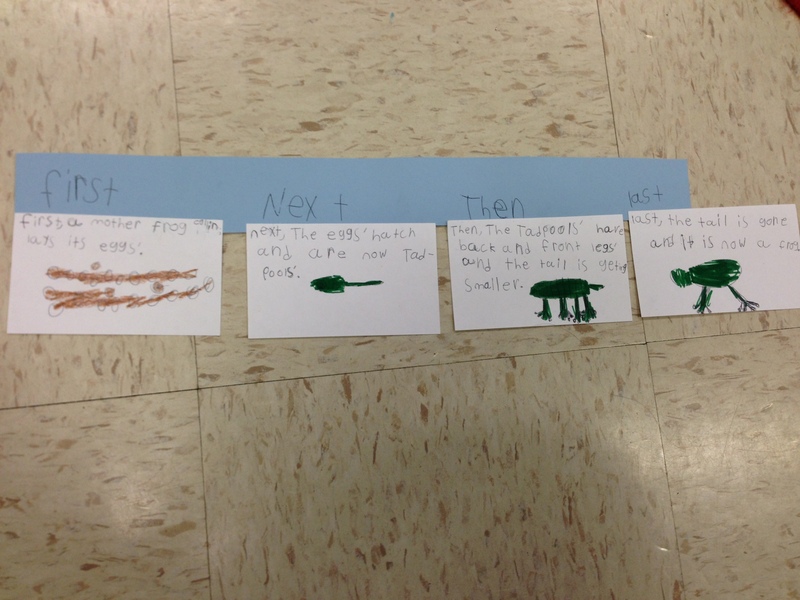 To end our unit on sequencing, I decided to do something different. 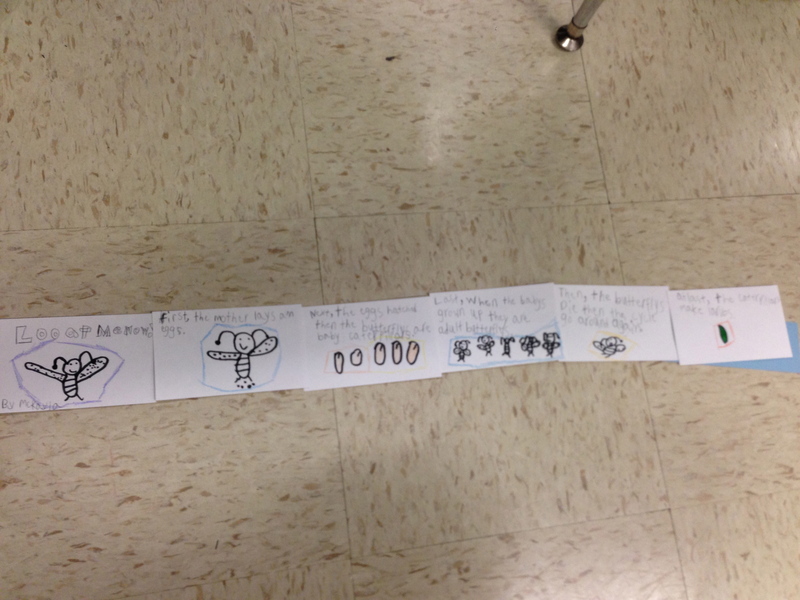 Students picked one of the stories from the book and sequenced the order of events. 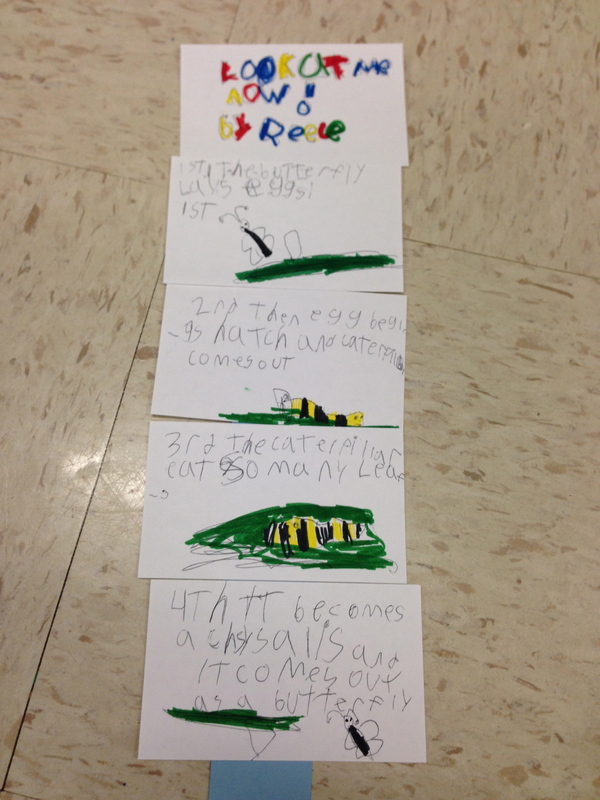 They wrote each step of the sequence on a notecard and then had to illustrate a picture. Finally, they glued the cards on a strip to show the sequence of events. The kids really enjoyed this activity; it was fun and different than what they normally do in school. Also, since they were applying the sequencing skill to an actual activity, they truly demonstrated their understanding of the skill. Usually, students read and discuss the ideas or strategy, but that doesn’t always mean students can apply the skill, especially with struggling readers. When students can apply their learning and do something different, they make connections and are more likely to remember concepts. This motivates readers to keep reading, which is our goal-to create life-long readers and learners! Now that the Winter Olympics are in full swing, I know I have television to watch every night for the next couple weeks. I love watching the Olympics. I can watch my favorite sport, figure skating, as well as ones I haven’t heard of or that aren’t normally televised. When else can you watch skiing, curling, or luge?! There are many feel good stories from athletes around the world as you learn about their journey to the Games. Additionally, it is a time when our nation and, more importantly, the world, come together and unite for a common goal. The entire country roots for our athletes and has a sense of national pride. I love watching the Parade of Nations at the Opening Ceremonies, watching everyone march in with a smile, hearing countries’ names I’ve never heard of, and seeing how many athletes are from each country. For the majority of these athletes, this is their one shining moment. 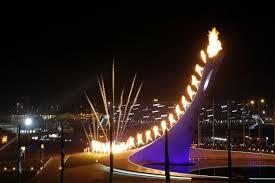 I had chills watching the athletes march in and seeing the Olympic flame get lit. 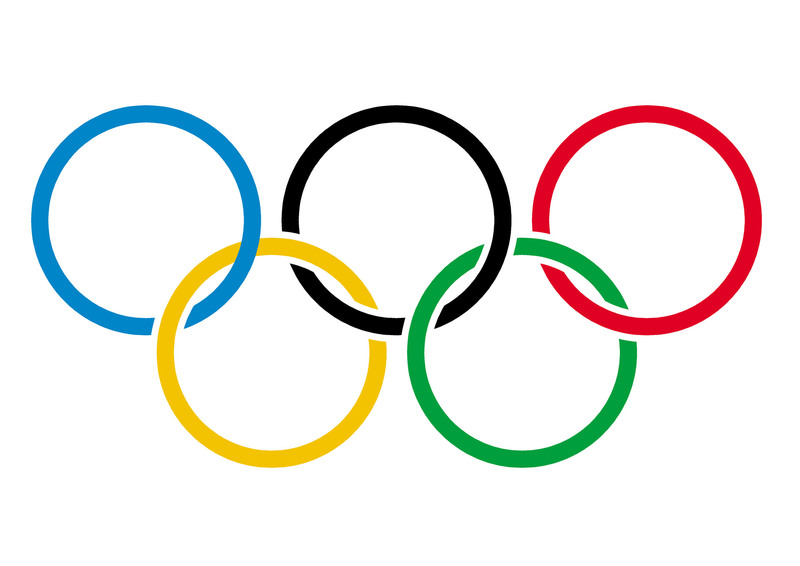 Let’s root for all the athletes as they complete in the Winter Olympics. How can we keep this sense of pride and connection going everyday, all year round? One part of the first grade social studies curriculum is called Skills for Growing, which incorporates concepts related to social-emotional learning. Lessons teach students about being themselves, working with others, and friendship. While looking over the lesson I would teach about working in groups and different roles of group members, I noticed the suggested activities were somewhat boring. I decided to adapt the activities and combine the lesson’s theme with our writing skill. 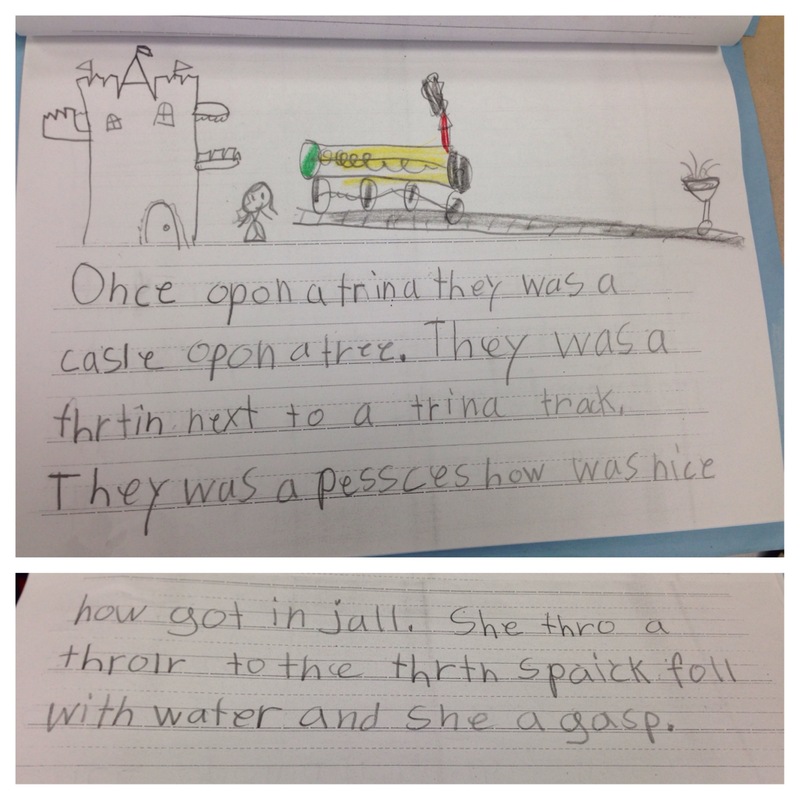 We had just discussed descriptive writing, and sometimes it’s hard for first graders to write more detailed sentences. First, we discussed what it’s like working in a group and why students may or may not enjoy group work. We discussed the different possible roles of group members: collector, reporter, and a member. 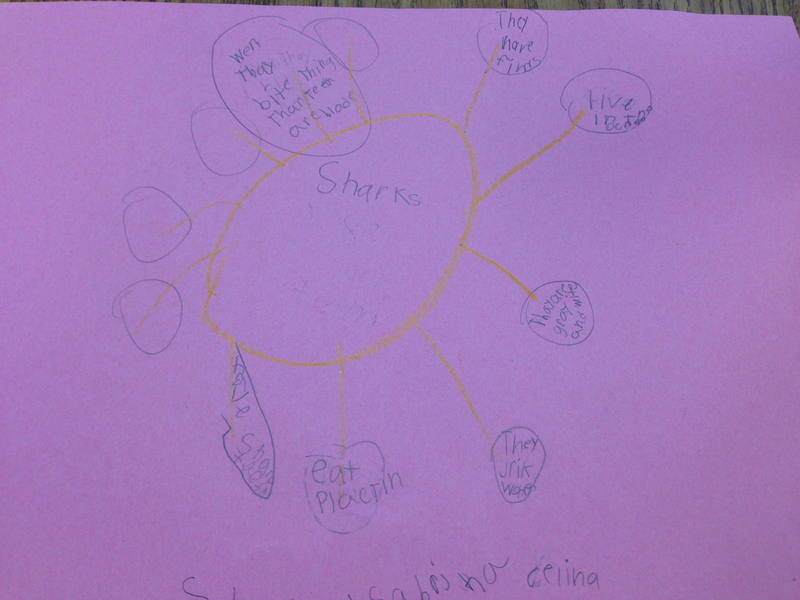 Then, I explained the project: each group needed to pick an animal and create a web with different descriptions of the animals, such as color, size, where they lived, and what they ate. I randomly picked the groups, so students could work with different students in the class. 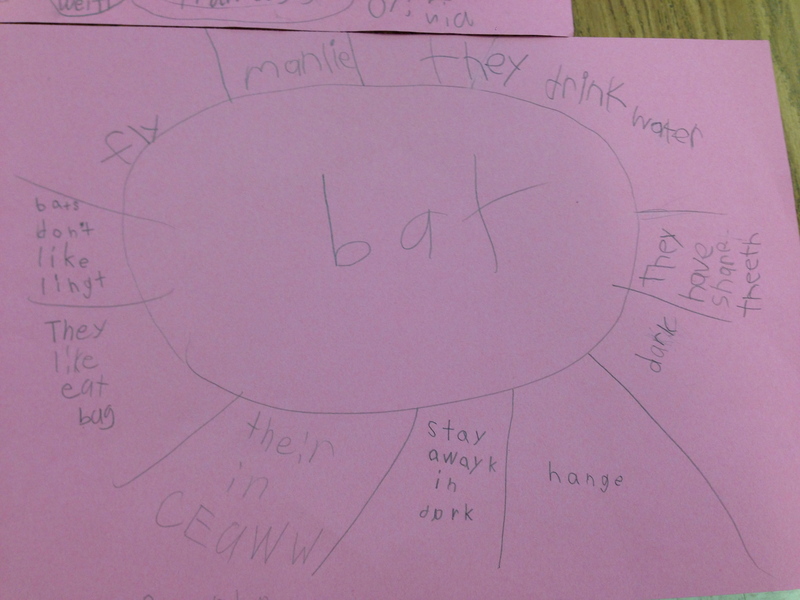 I also modeled how to create a web and we did an example together, so students knew exactly what to do. I was impressed how well the students worked together and were enthusiastic about the project. 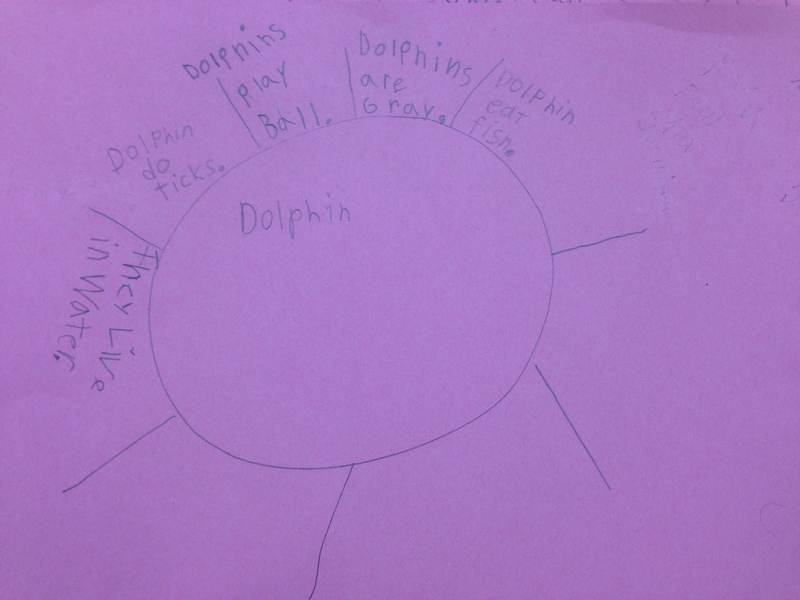 Each group chose an animal, and each person wrote at least one description of the animal. 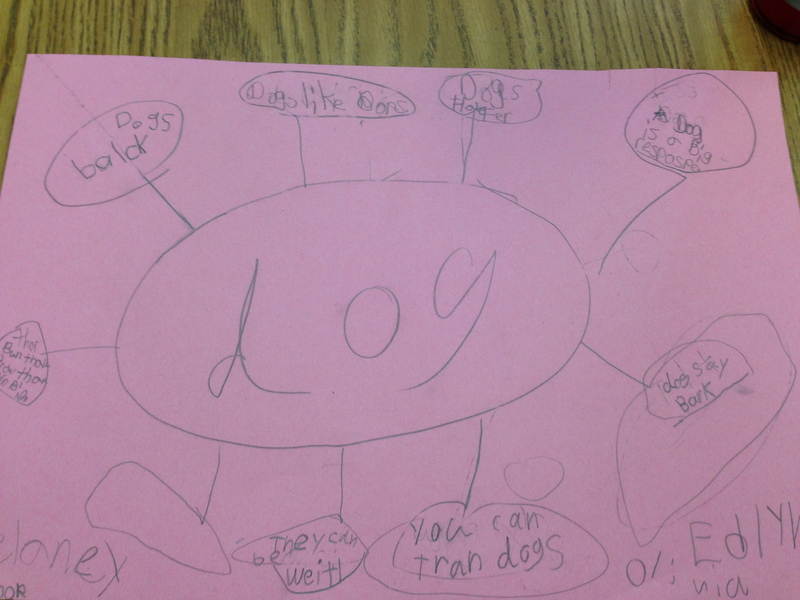 Sometimes they needed prompting for more descriptions to write, but overall they came up with great ideas. The best part was that students were completely engaged, and they didn’t want to stop working! When students are that motivated and engaged in an activity, you know as a teacher that you’ve created a successful learning experience. The students successfully accomplished the lesson goal of working together in a group. Sometimes as a teacher you need to take the initiative and make the executive decision to be creative and encourage students to think out of the box! As a result they’ll have a meaningful learning experience!